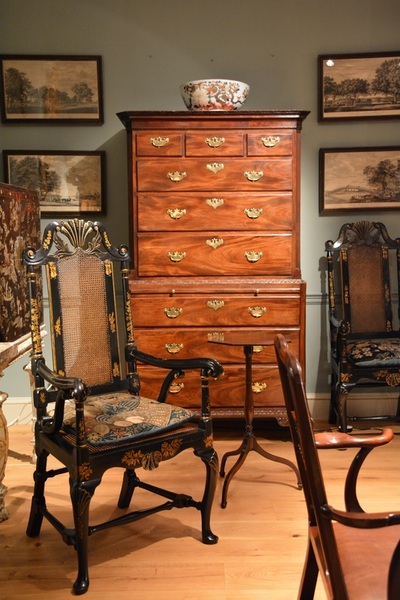 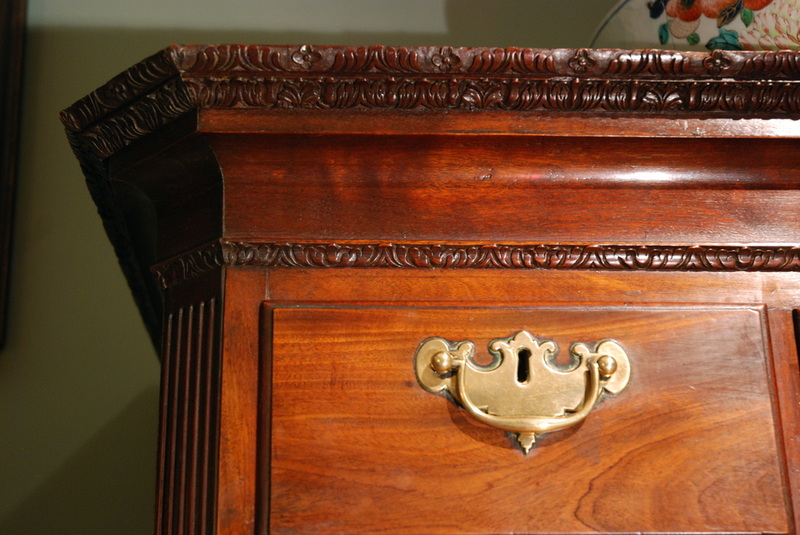 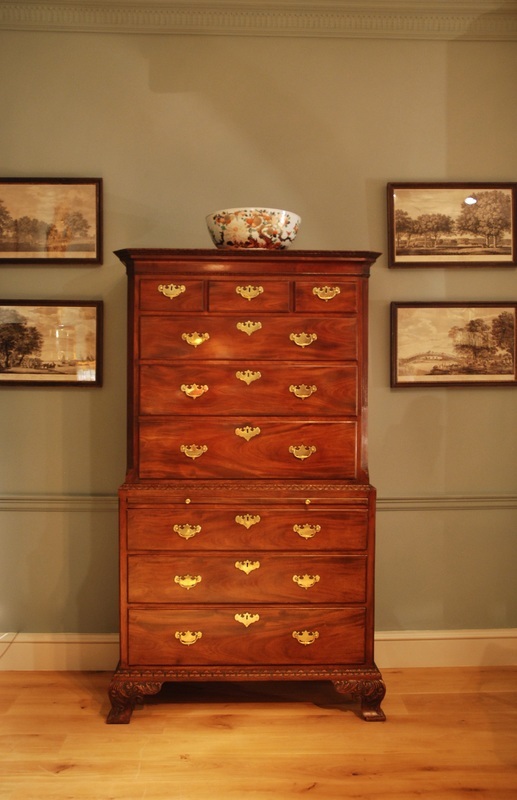 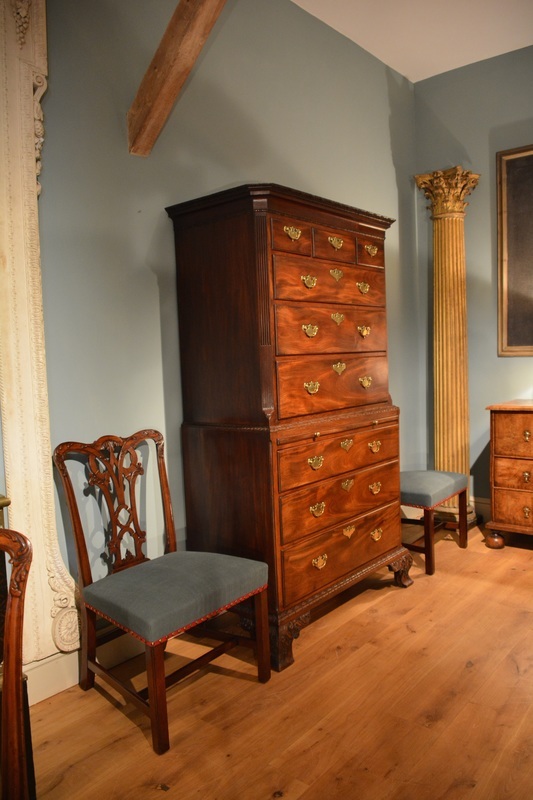 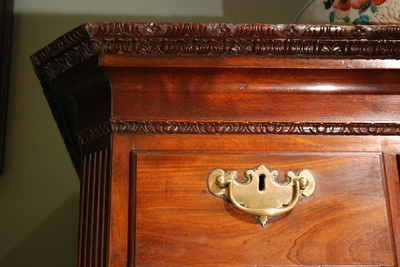 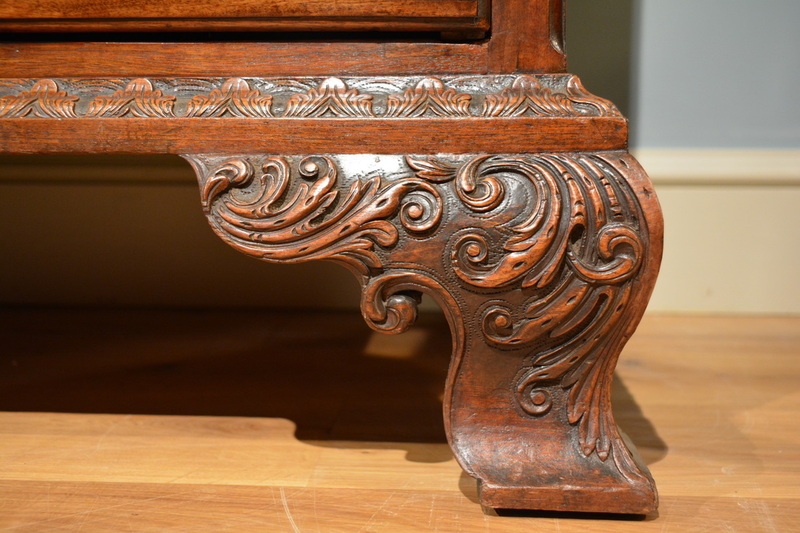 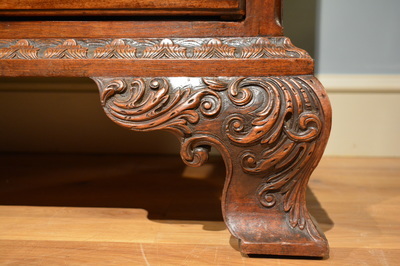 A good 18th Century mahogany tallboy in two sections. 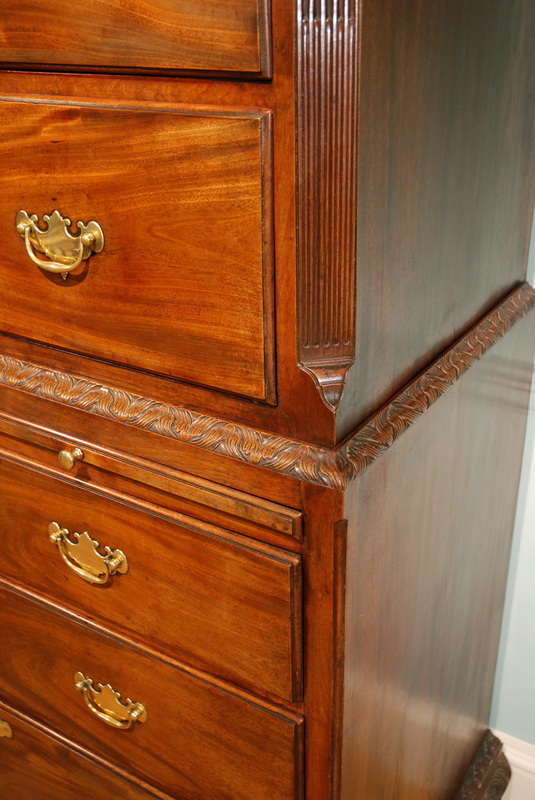 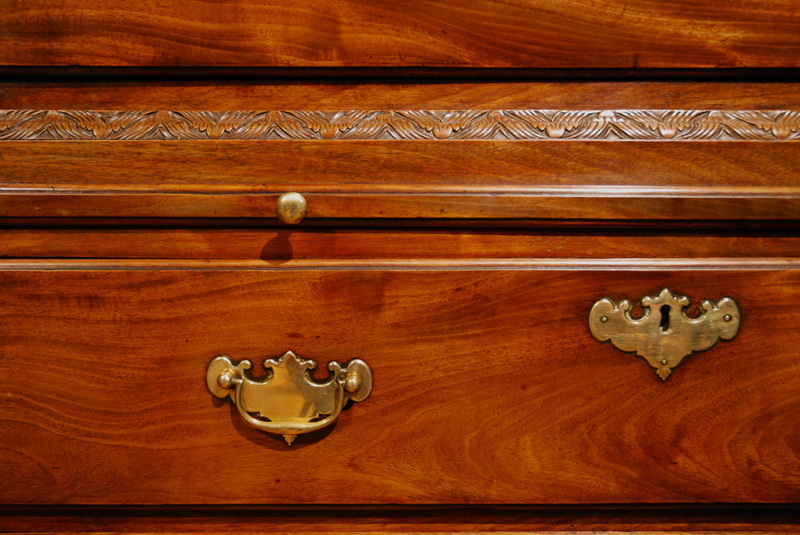 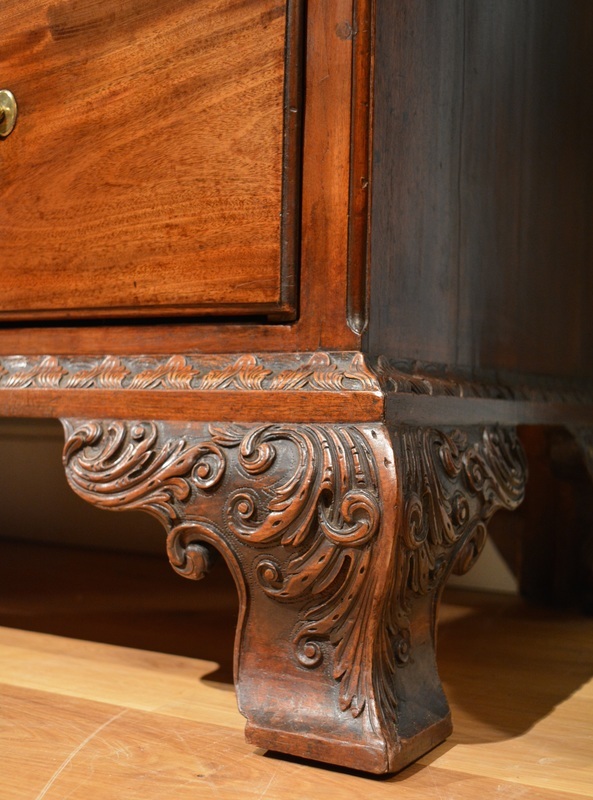 The drawers and brushing slide retaining their original brasses, the mouldings finely carved as are the feet with strong Rococo inspiration. 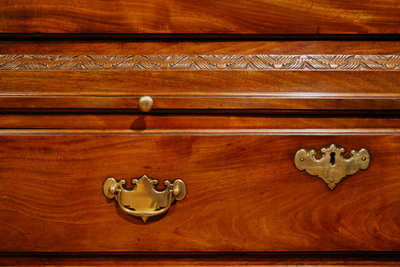 Height 75" Width 44" Depth 22.5"